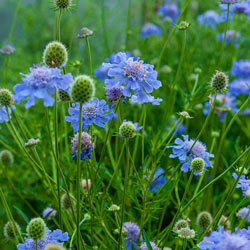 This easy-to-grow perennial shows off beautiful lavender-blue blooms from spring to frost. Also known as the "pincushion flower" for its unique appearance, its 2" double-flowering pompoms are irresistible to butterflies. 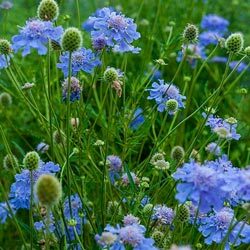 Compact size and nearly endless bloom time make this an ideal variety for mass planting in border fronts, rock gardens, patio containers and more. Bloom Time Late Spring to Fall. Foliage Type: Basal rosette in medium green. Bloom Time: Late Spring to Fall. 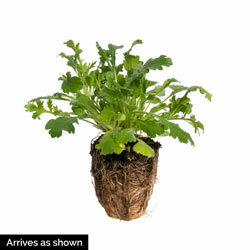 Flower Form: Single, pincushion like center 2-2 1/2" blooms. Planting Instructions: Protect from excessive winter moisture. Good drainage is important. Soil Requirements: Well drained, light, fertile soil.